Despite working with some of the leading lights of the physics fraternity in India and abroad, Chowdhuri remains an unsung hero of Indian science. The history of elementary particle physics and cosmic rays in India is replete with references to the work done by great men like Homi Jehangir Bhabha, Vikram Sarabhai, M G K Menon and pioneering research conducted at places like the Indian Institute of Science in Bangalore, Tata Institute of Fundamental Research (TIFR) in Mumbai and the Physical Research Laboratory (PRL) in Ahmedabad. 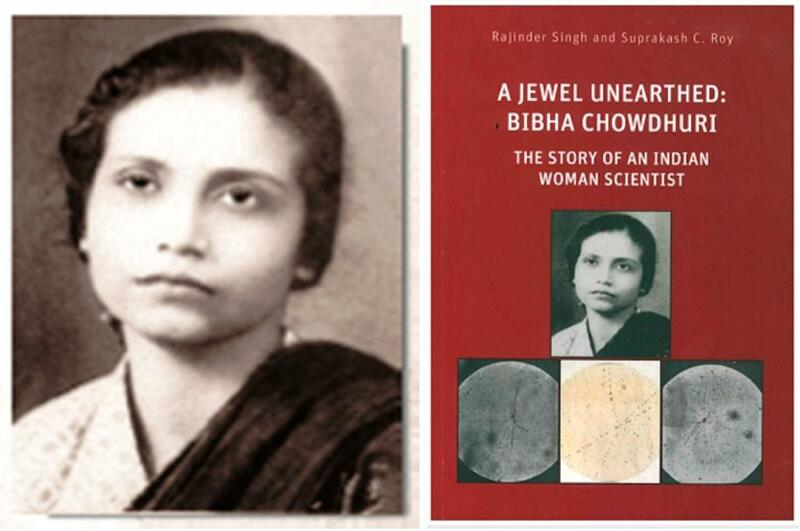 But few Indians would know about the work and contribution of Bibha Chowdhuri (1913- 1991) who not only worked with Bhabha and Sarabhai at TIFR and PRL respectively but in the laboratory of Nobel-winning physicist P M S Blackett, who was also an advisor of Prime Minister Nehru on matters relating to organizing scientific research in newly independent India. In addition, Chowdhuri was a part of the proton decay experiment conducted in the Kolar Gold Fields (KGF) under the leadership of M G K Menon. During her long career in physics spanning decades, Chowdhuri published several research papers in international journals including the venerated Nature. She remained a life-long researcher, and the last paper co-authored by her was published in the Indian Journal of Physics in 1990 – a year before she passed away. Despite working with some of the leading lights of the physics fraternity in India and abroad, Chowdhuri remains an unsung hero of Indian science. She was not elected to fellowship of any of the three celebrated science academies in Indian nor named for any major prize. Was it a classic case of gender discrimination? A new book ‘A jewel unearthed: Bibha Chowdhuri’ by two leading science historians, Rajinder Singh and Suprakash C Roy, has sought to answer this question. “Here gender discrimination means that she was not elected as member of any of the three science academies though her work was of high quality. Chowdhuri’s name does not figure anywhere in the writing on cosmic particle research done at KGF,” Dr Rajinder Singh, who teaches at the University of Oldenburg in Germany, told India Science Wire in an interview. His earlier work has included books on C V Raman, in which he has busted the myth that Raman did his Nobel-winning work in a poorly-funded laboratory. On Chowdhuri’s nomination to membership of science academies, Singh said “every year hundreds of persons are nominated and the academies generally do not publish this information. So, it is difficult to say if she was nominated and her name was rejected but the fact is that she was not made a Fellow.” The book quotes studies to point out that only 3.3 percent of Fellows of the Indian National Science Academy (INSA) in physics were women till 2012. A book on Indian women scientists featuring 100 of them from Victorian to present times, published by the Bangalore-based Indian Academy of Sciences, did not include Chowdhuri. She was the only girl student in her MSc (Physics) class of 24 in the batch of 1934-36 in the physics department of Calcutta University. After her post-graduation, she joined the department for doing research under D M Bose, who was the Palit Professor of Physics. Bose later moved to the Bose Institute as its director, taking several of his research students including Bibha Chowdhuri. Since Bhabha was working in the same field of cosmic rays, he made enquiries with one of Chowdhuri’s thesis examiners about her and finally recruited her to join TIFR. She was the first woman researcher to do so in 1949, and remained there till 1957. M G K Menon and Yash Pal were her contemporaries at TIFR where she was involved in finding several types of k-mesons using nuclear emulsion stacks interspersed with brass plates. She also participated in the international conference on elementary particle held at Pisa in Italy in 1955, along with colleagues from TIFR. Chowdhuri was involved in the KGF project right from the beginning in 1960, and after moving to PRL she proposed another experiment at Mount Abu in Rajasthan. She wanted to study radio frequency emissions associated with extensive air showers. But after the death of PRL Director Sarabhai, the direction of research programme changed and “PRL did not permit her to take up the experiment,” says the book. After this, she took voluntary retirement and moved back to academic and research work in Calcutta. Whether she was refused due recognition at PRL also? “We have no definite answer regarding her being overlooked for promotion etc, but there is indirect evidence of discrimination,” said Rajinder Singh.